For more details email me at: biancafondow@juno.com . 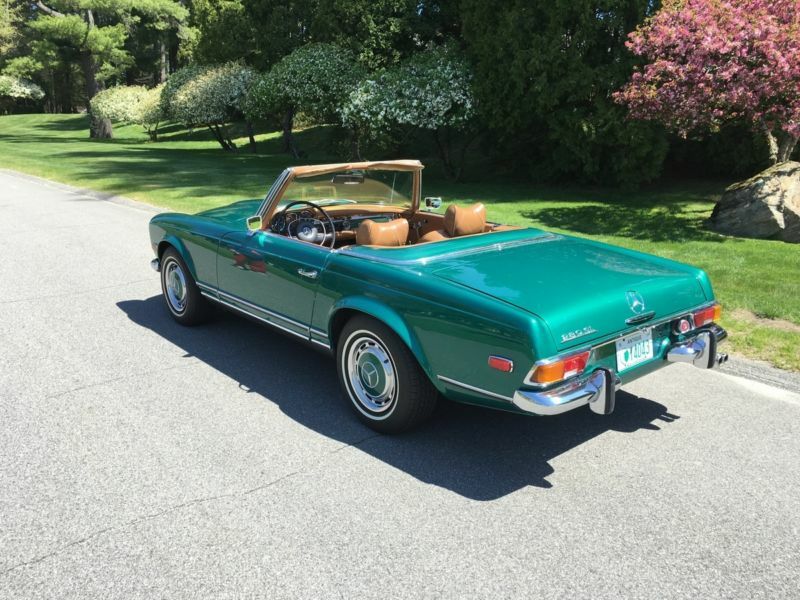 The current owner purchased this beautiful car in 1984. He has driven it 50, 000 miles and the previous owner had driven it 53, 000 miles. At 63, 000 miles, I had the odometer repaired and the technician reset the odometer to 0. Since then, I have driven the car 38, 000 miles, which is the current reading. 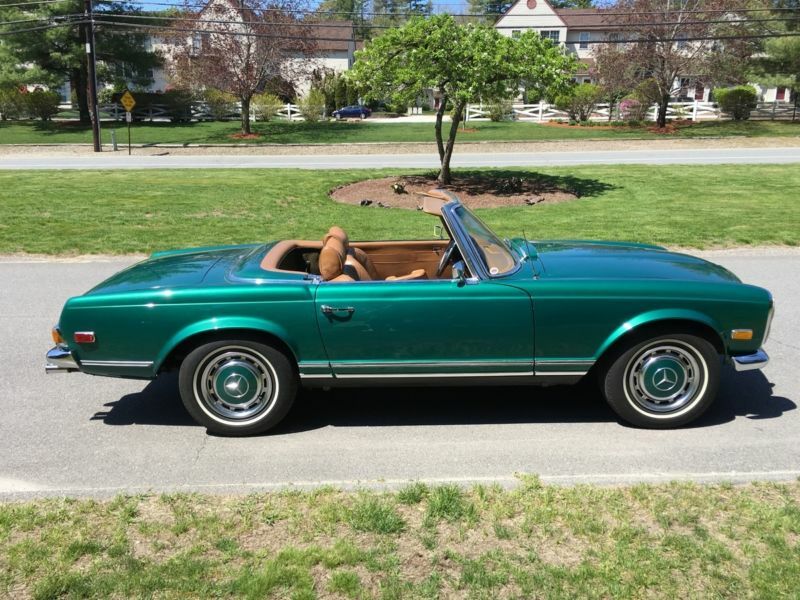 Since 1984, the car has been incrementally restored. It has been repainted in its current green color, which is a lighter green than the original moss green, and the interior of the car has been totally restored with tan German leather and green floor matting. A light tan German soft top has also been installed; it never saw rain. In fact, it is practically brand new since it saw limited use. 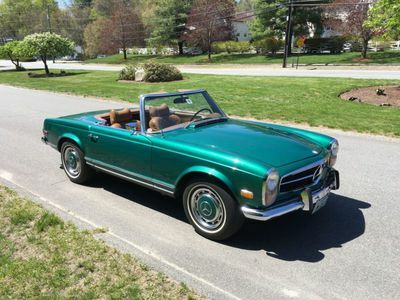 I drove the car only in the warmer months of spring and summer, and with the top down. In preparation for selling the car, I had a Mercedes specialist go over the car, and replace or repair anything that was needed. 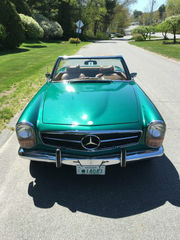 He installed new motor mounts, new belts and hoses and a variety of items connected with a major service and tune-up. As part of the overhaul, I had a new odometer, speedometer and tachometer installed. The Michelin tires have little wear on them. The car drives as good as it looks! This is a magnificent automobile, meticulously cared for, and is an absolute pleasure to drive. You can expect a lot of car honks and thumbs up when you drive it.